Secretary of Homeland Security Janet Napolitano addressed the MIT community with “The Future of Science as Public Service” at the 2011 Compton Lecture, held Monday in Kresge Auditorium. 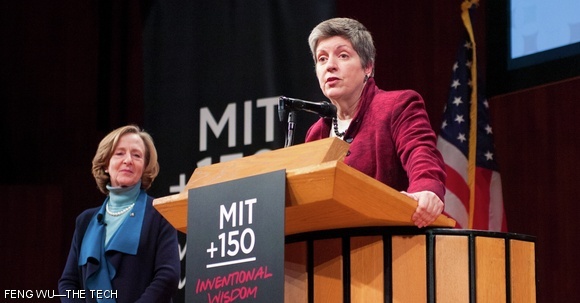 Napolitano spoke on how the collaboration between scientists and the government will be the future of national security. The Secretary was the first woman to give a Compton Lecture.